← August Blog Sponsor Giveaway! Let’s check out the YumeTwins monthly subscription box! 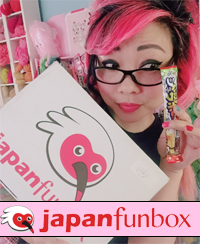 I got a really cute box of goodies to share with you guys from YumeTwins! 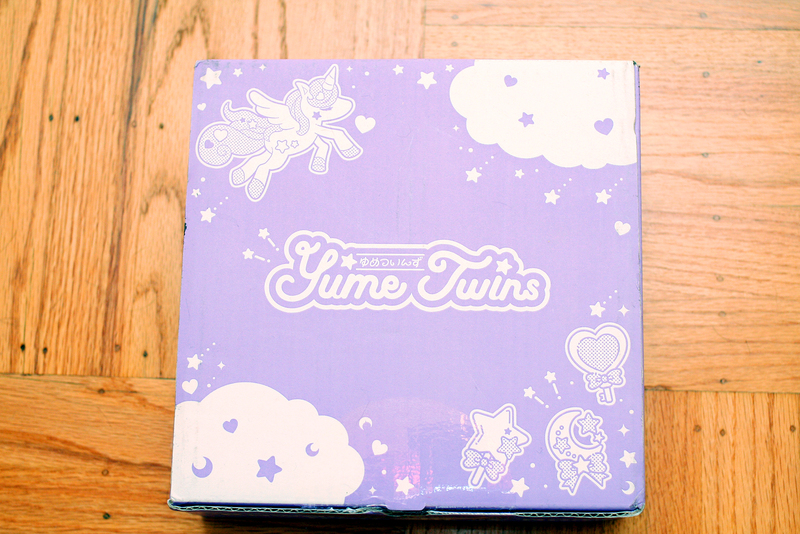 YumeTwins is a new kawaii box released by TokyoTreat. 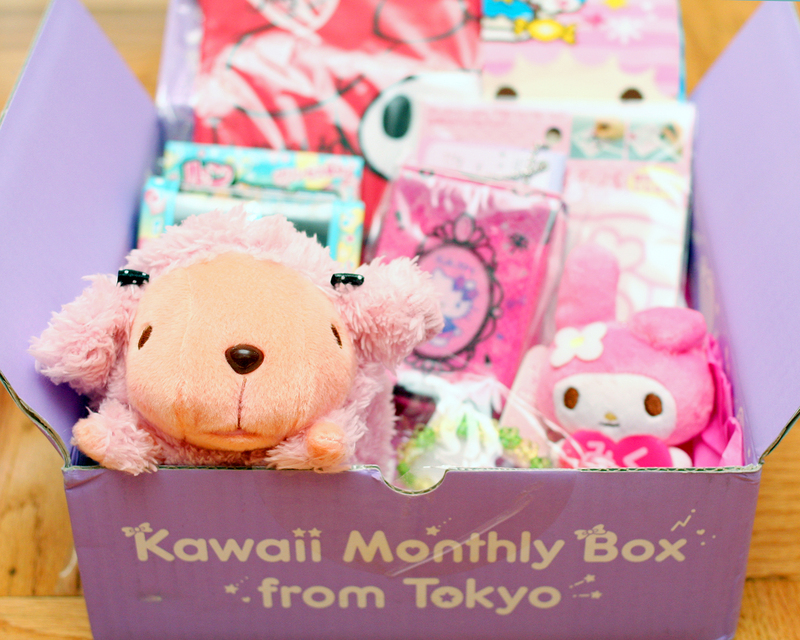 Unlike other kawaii boxes, YumeTwins revolves around the “Yume Kawaii” culture, which is a combination of cuteness and fairytales with a touch of darkness. “Yume” itself means “dream,” so not only does Yume Kawaii center around cute styles, but it also has a magical dreamy feel to it. Yume Kawaii culture is currently extremely popular and trending in Japan. Also, with YumeTwins based in Japan, they have more variety in inventory and advantages to easily partner with big brands to provide authentic licensed merchandise for everyone. The YumeTwins box will feature exclusive items from famous Japanese brands such as Sanrio, Takara Tomy, Amuse, Re-Ment and many more. The Debut box included an exclusive 20th Anniversary Sailor Moon Plush and was HUGE hit. I was sent the July Sanrio All Stars box! There is a mini-magazine on top which lets you know the details about what’s inside the box, as well as information about the current month’s contest (to win more goodies! 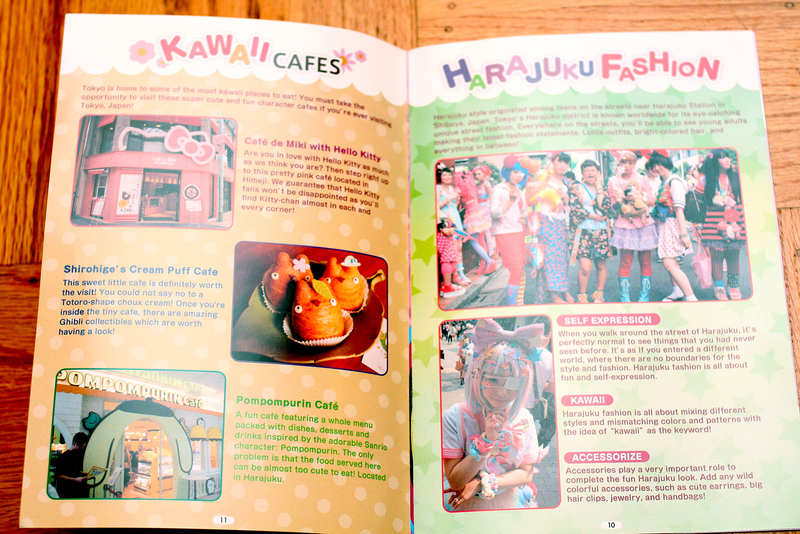 ), and also some short articles about Japanese pop culture. Manda was checking out the pop culture pages and definitely felt like she learned something! And now let’s check out the cute goodies! 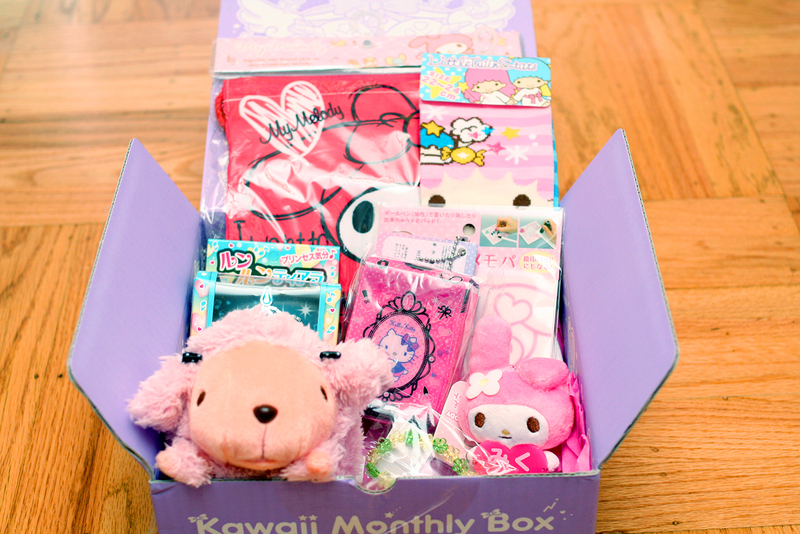 The box included a Shinada Poodle Plush, Hello Kitty Randoseru Charm, Harajuku Kawaii Bracelet, My Melody Memo Pad, My Melody plush, Little Twin Stars socks (my fave! ), My Melody Pouch, and a Harajuku Princess Tiara. Here‘s where you can check out all the pricing details. 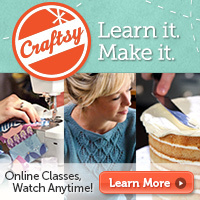 Plans start at $21.99/month + $6 shipping and can vary depending on how many months you commit to. 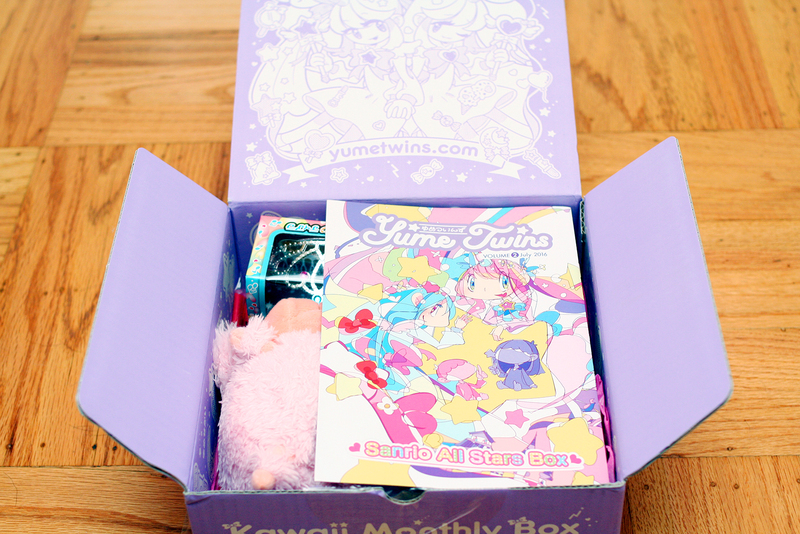 All subscribers are also automatically entered to possibly win their special Yume Prize box. 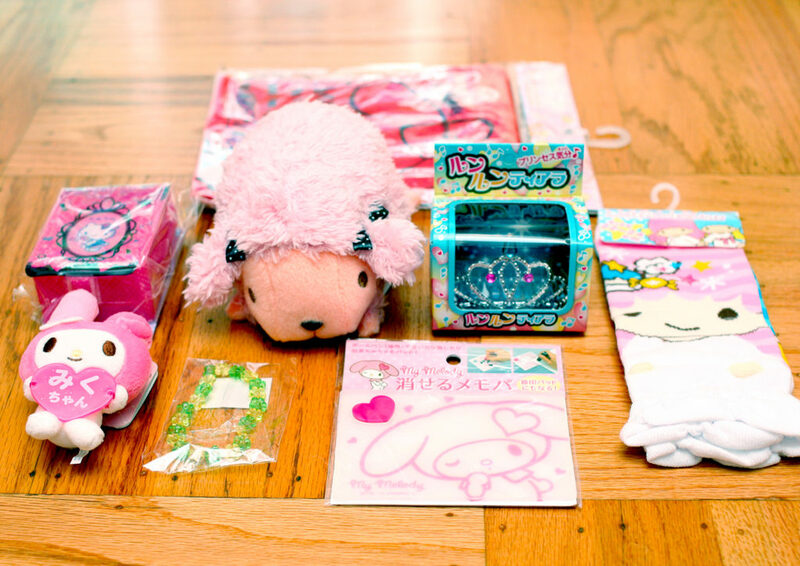 Check out all the stuff that was in the June Yume Prize! Dang! You can follow YumeBox on Twitter, Facebook, and Instagram. Hope you had fun with this peek inside! I am going to have lot of fun spreading these items amongst my friends! One Response to Let’s check out the YumeTwins monthly subscription box!